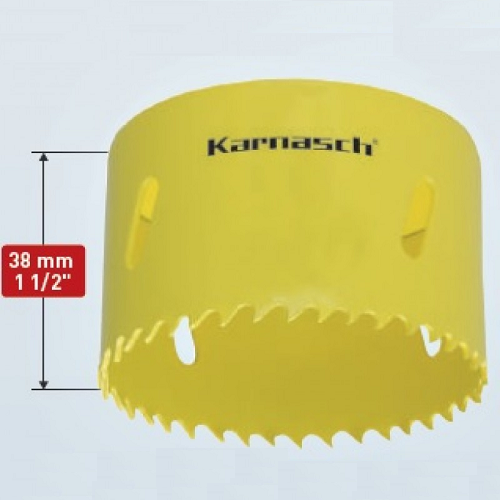 The Karnasch Bi-metal hole saws - offering an wide range of diameter (14 - 305mm). The range comes also with a new "HEAVY-DUTY" holder model recommended from Ø 100 mm. BI-METAL hole saws are the ideal all-round hole saws for electricians, plumbers, heating engineers and locksmiths. From Ø 160 mm not recommended for metals.